PHOENIX -- The federal government on Friday said the police force that serves two polygamous towns found to discriminate against non-believers should be disbanded. The U.S. Department of Justice made the recommendations in closing arguments, which were due Friday. Among them were requests that a judge order Colorado City, Arizona, to approve a subdivision proposal, impose injunctive relief governing certain housing-related municipal services and to appoint a monitor to oversee sweeping changes. The DOJ says the Marshal’s Office operates as an arm of the Fundamentalist Church of Justice Christ of Latter Day Saints, a radical offshoot of mainstream Mormonism, which disavowed polygamy more than 100 years ago. A jury concluded nine months ago that nonbelievers were denied police protection, building permits and water hookups by officials in Colorado City, Arizona and Hildale, Utah. The jury found the Colorado City Marshal’s Office violated the rights of nonbelievers by breaking the First Amendment’s promise that the government won’t show preference to a particular faith and force religion upon people. It’s now up to U.S. District Judge H. Russel Holland to decide how to remedy the discrimination. The government says that the police force that serves both towns should be disbanded and replaced with local sheriff’s offices. “The severity and unique nature of the constitutional violations, and the (Colorado City Marshal’s Office) refusal to reform make disbandment necessary,” the government wrote. 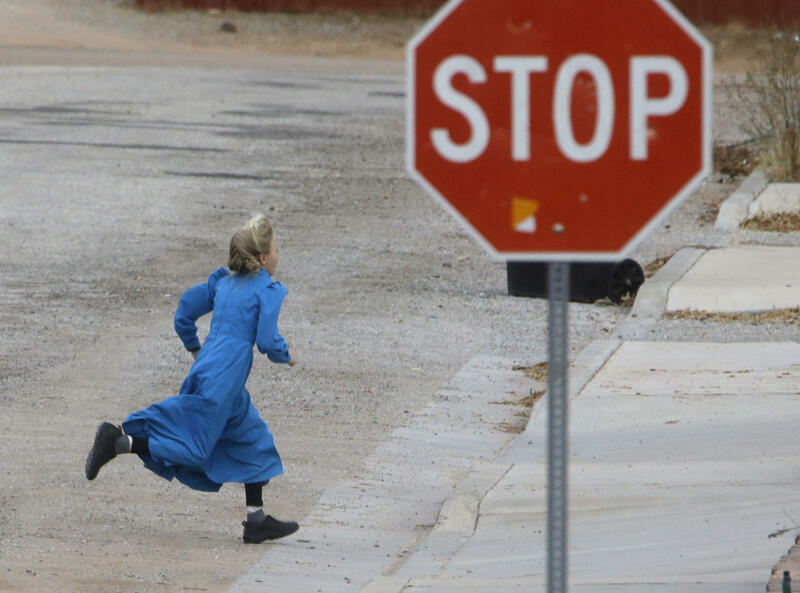 Lawyers for the federal government say the sect’s activities are dictated by the commands of their jailed leader and prophet, Warren Jeffs, at the expense of the rights of nonbelievers. Jeffs is serving a life sentence in a Texas prison for sexually assaulting underage girls he considered wives. At trial, the towns denied the discrimination allegations and said the government was persecuting town officials because it disapproved of their faith. They vigorously opposed the request to disband the police department and the appointment of a monitor. Their lawyers say police departments in other municipalities that have been targeted in federal civil rights investigations haven’t faced remedies as drastic as disbandment. The towns also have suggested they can resolve their problems through policy changes and employee training and should be able to demonstrate their compliance through reports and documents. The civil rights trial marked one of the boldest efforts by the government to confront what critics have long said was a corrupt regime in both towns. It also provided a rare glimpse into the communities that have been shrouded in secrecy and are distrustful of the government and outsiders.